Memorial Day weekend came to a close in style for Sunset Music Festival 2017. The 2-day EDM festival in Tampa, Florida capped off its 6th year event with Major Lazer, Above & Beyond, RL Grime, and Zeds Dead as headliners. Disco Donnie Presents, the main promoter which organizes SMF, has brought the heat with delivering top-tier lineups each year. It was no surprise to expect an excellent weekend of dance music for SMF 17. 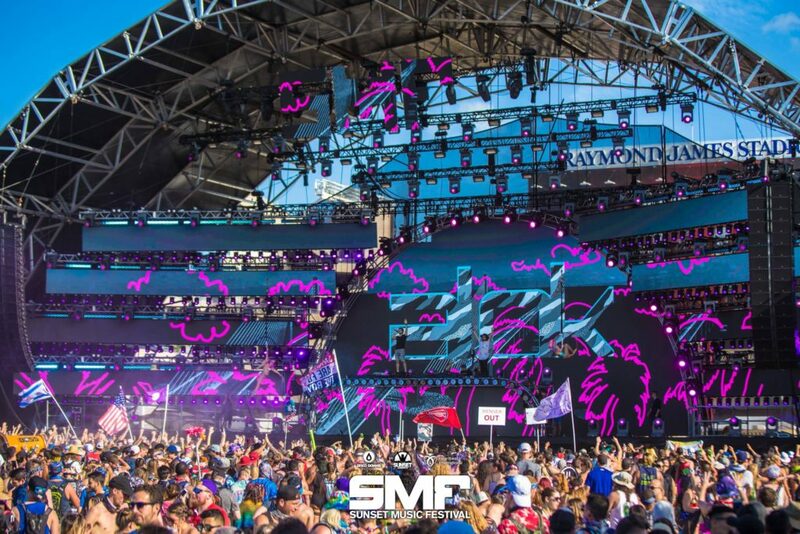 Tens of thousands of dance music lovers packed the venue outside of Raymond James Stadium to have some fun in the sun with a stacked lineup of EDM talent. There were plenty of hidden gems for both days of Sunset. Most would think that the best performances came from the main stage and the second stage, or Eclipse stage, but I would have to disagree. On of the best places to be at Sunset was actually the Horizon Stage. This stage had something special scheduled to close the second day which was a great surprise to us when the lineup was first announced. The small stage in the back hosted a plethora of tunes from different styles of house, trance, and a special live performance as well. Some noteworthy sets were Brohug, Drezo, Cedric Gervais, and Gareth Emery on Saturday. For Sunday, Kungs, MK, Yotto, and Goldroom live was a fantastic way to close the festival. 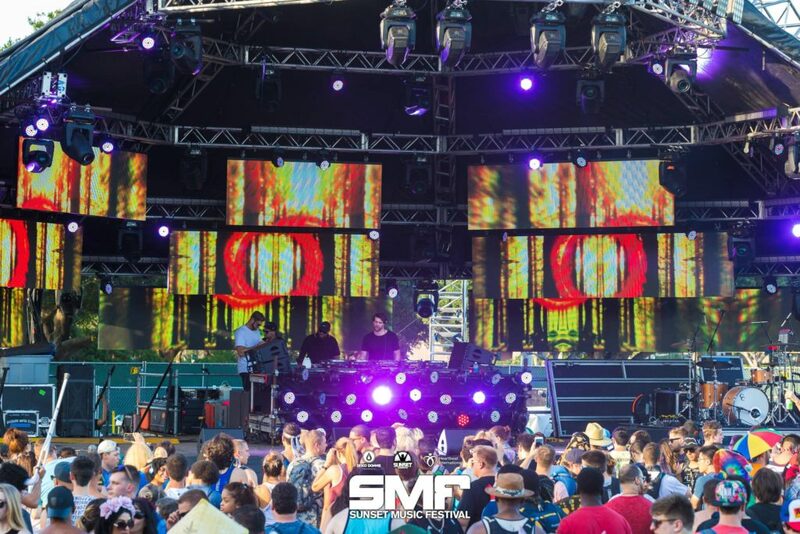 Goldroom was the only live band on the lineup for SMF. Their set was truly impressive because they sounded exactly as they do in studio which is very hard to come by with a live band. I felt that it was necessary to check them out since they were one of the few I have never seen live before. That was one of the best decisions made all weekend. Both days 1 & 2 were loaded with great performances which made it difficult to venture out and see other artists. After finding some time to check out some other stages, up next was the bass heavy Eclipse stage. A few big sets to come from day 1 at Eclipse were San Holo, Ghastly, and Kill the Noise. As for day 2, both Kayzo and Illenium stole the show with some great performances at the end of the night. As for the main stage, I was able to check out K?d, 4B, and the legendary A-Trak on day 1. For day 2, I had been anticipating Alok since the lineup reveal. His style of house which is known as Brazilian bass, is something fresh that will definitely be heard more this festival season. Sunset Music Festival had a fantastic turnout. The event drew a large crowd of attendees, had incredible stage production, delivered a lineup of some new and different names along with some of the A-list headliners, and provided some great food and beverage with a nice cool down tent hosted by Bud Light to boot. 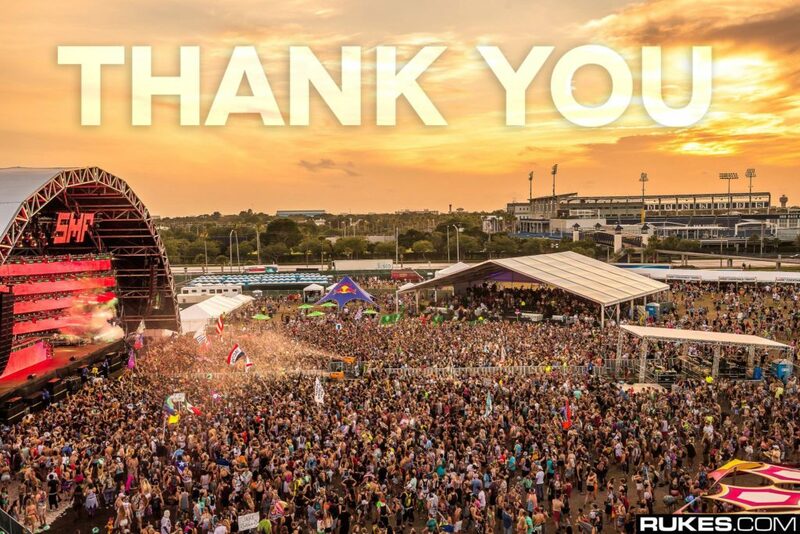 This EDM festival has developed from a small one day event to a fast growing 2-day music festival. 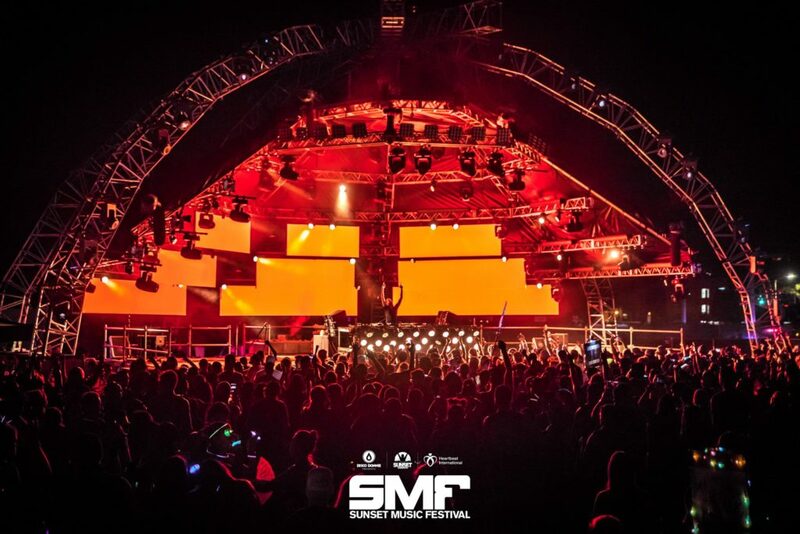 SMF has certainly made a name for itself, and established a prominent brand for dance music festivals among the east coast region. With that said, we certainly hope to see Sunset Music Festival return in 2018 and years to come.